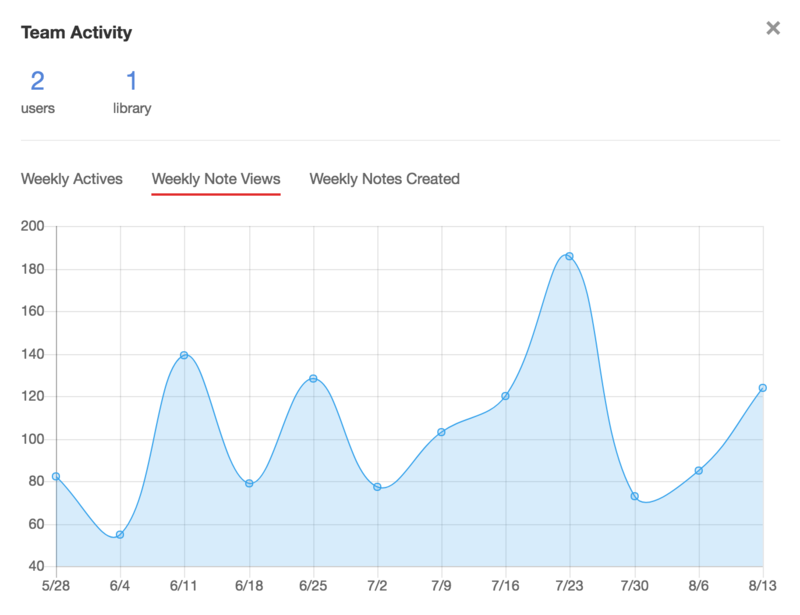 Notejoy now gives team admins the ability to easily monitor usage across their users & libraries. You can easily see weekly actives, weekly note views, and weekly notes created for the past 3 months. Team Activity is available in Notejoy Premium. You can upgrade to Notejoy Premium from Plan Settings. Once upgraded, click on the Team Activity menu item in the user menu in the bottom-left corner of Notejoy.